Thank you philacan! 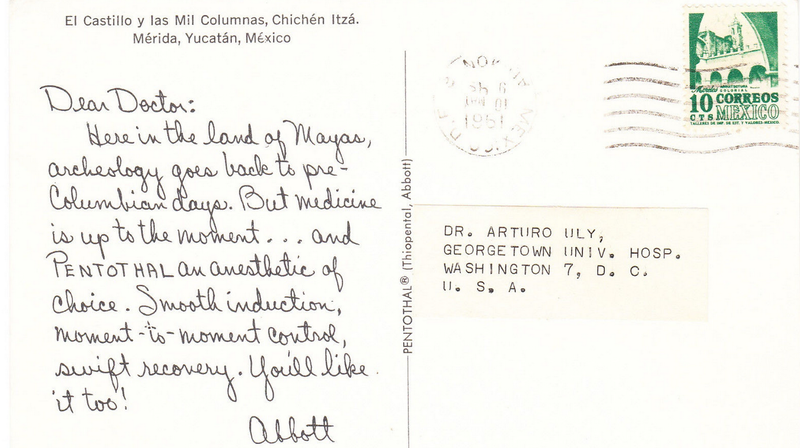 Abbot labs, from 1954-1968 sent out postcards with salutations of 'Dear Doctor', advertising their anesthetic from 87 countries. The lab was located in Illinois, USA, but the cards were sent from ww locations, in: English, French, German, Greek, Italian, Spanish, and Swedish languages. 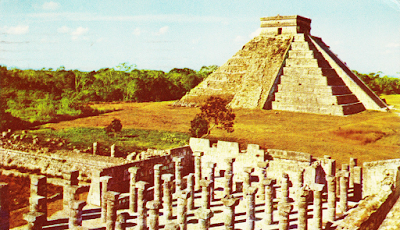 Variations of the front and back of these cards continue to be found, and any new finds are encouraged to be reported on Tom Fortunato's website. 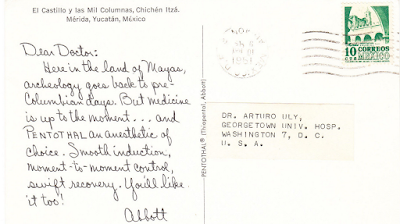 Tom has checklists, and other informative material about this interesting medical postal history. A beautiful illustrative book by David Lai, MD is Pentothal Postcards is still available. 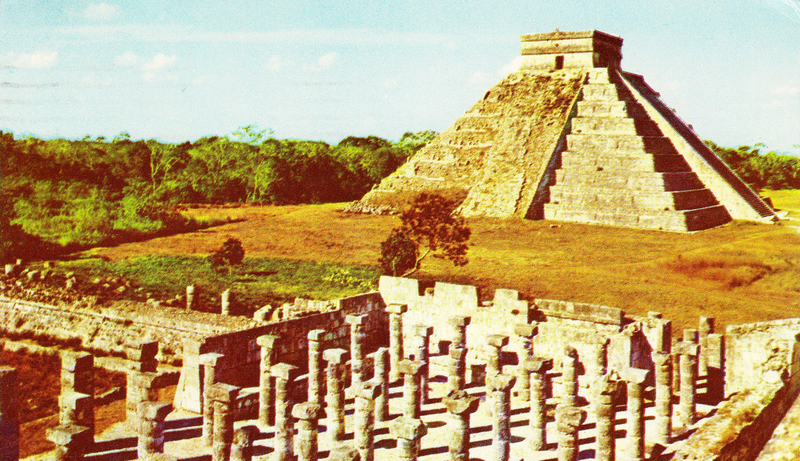 According to the master Pentothal list found here, this is card type #122, showing Chichen Itza, one of the largest Mayan cities.